The Yellowstone Plateau Volcanic Field is a very active hotspot and national park with spectacular evidence of volcanic activity on the surface in the form of geysers, hot springs, hydrothermal pools, steaming vents, and seismic activity. 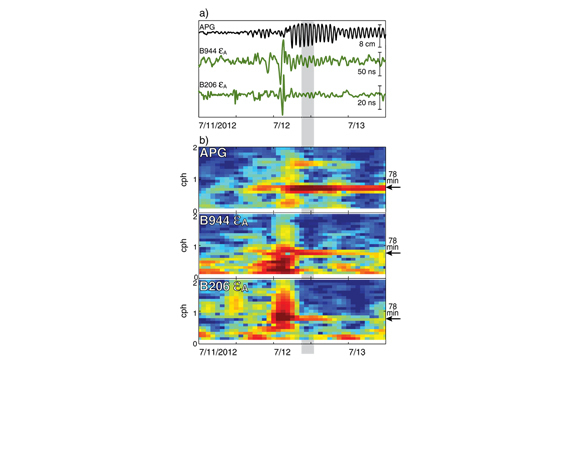 Deciphering the magma body below involves remote sensing. 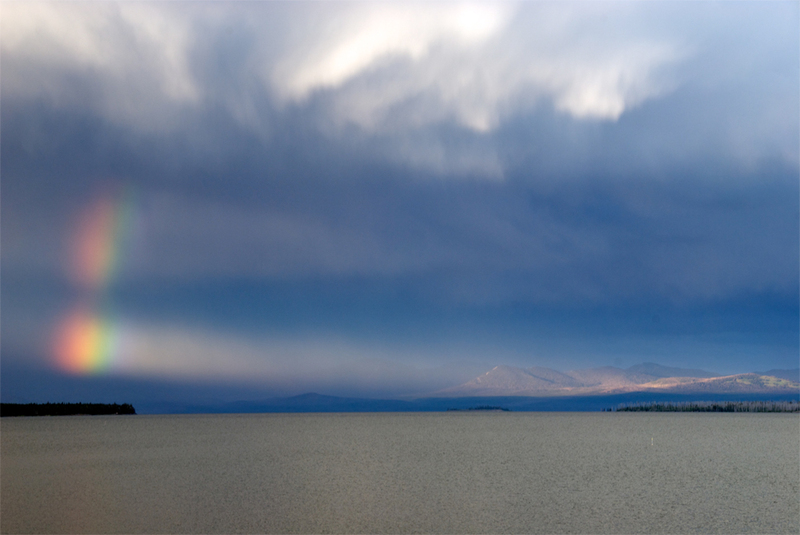 Five borehole strainmeters have been recording the regular sloshing of seiches in Yellowstone Lake as a load on the crust. The amplitudes recorded by strainmeters far from the lake are larger than expected and models suggest the motions are sensing a “soft underbelly” in the form of a partially molten magma in the upper crust. 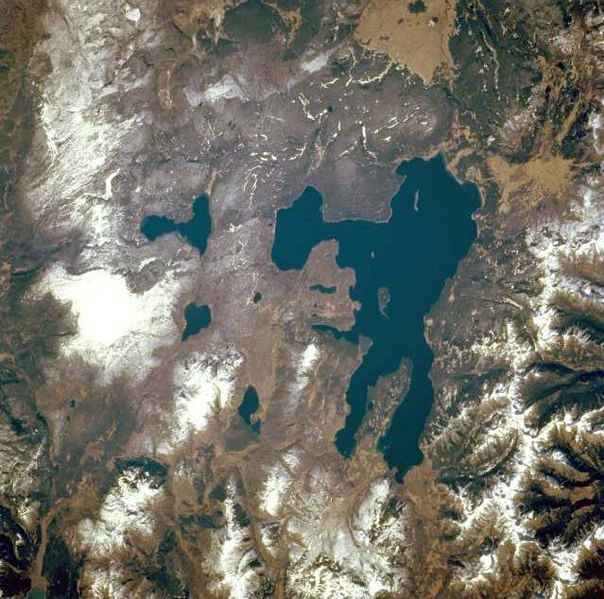 The Yellowstone Plateau Volcanic Field is known for its beauty and its hazards. Many tools are used to monitor activity and decipher the subsurface structure of this volcanic hotspot and to assess the related hazards. 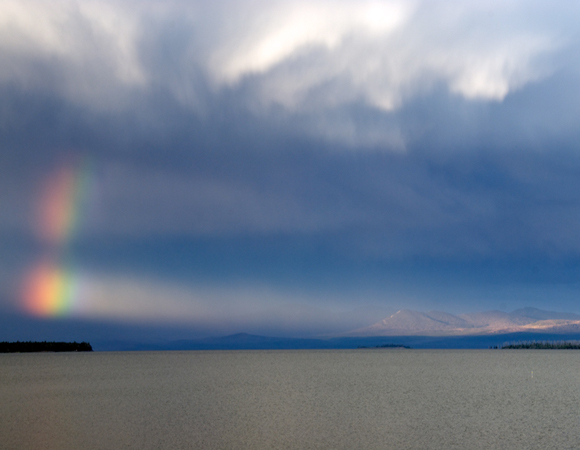 In 2008, two borehole strainmeters were installed near Yellowstone Lake and at three locations north of the lake. Pressure sensors installed in the boreholes can detect a 0.1 micrometer of length change over a distance of a kilometer. 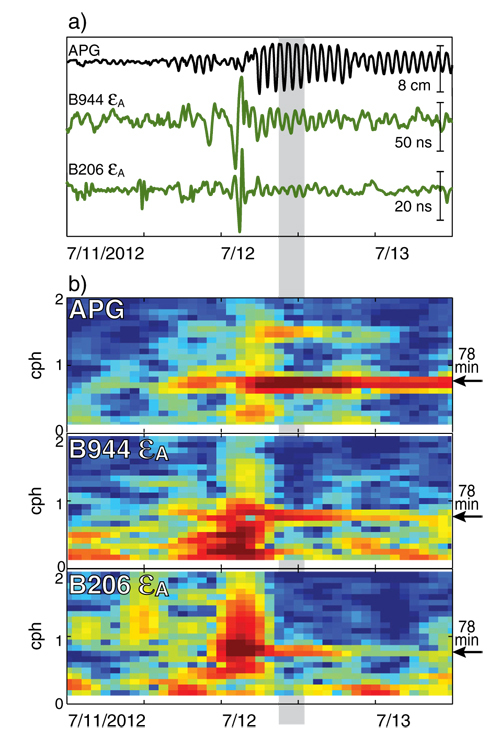 After about a year of observations, a transient signal with a regular period of 78 minutes was noted. The signal would start abruptly or gradually and would sometimes be sustained for days. These characteristics are consistent with a standing wave in the lake (i.e. a seiche) that transfers mass across the irregular body of water. A seiche can be triggered by wind, atmospheric pressure variations, tides, tsunamis, or seismic activity. Figure 1. 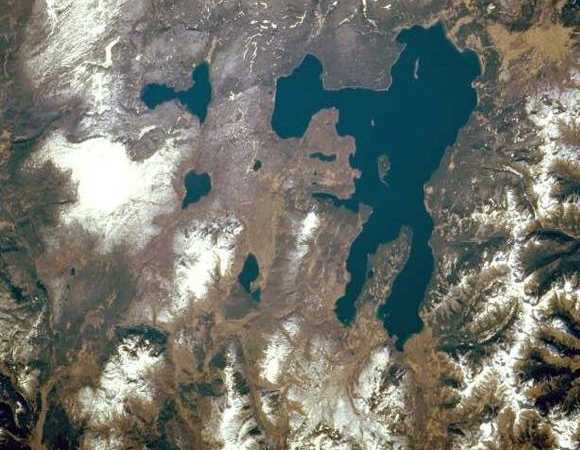 Yellowstone Lake, the largest high-mountain lake in North America [139 square miles (360 square kilometers)], are featured in this west-southwest-looking, low-oblique photograph. Image by NASA. Figure 2. Yellowstone Lake. Photo by Dave Mencin. In Yellowstone Lake these large standing waves can be used to probe the structure of the crust beneath the caldera. The lake places a load on the crust. The strainmeters detect that load and how the load decays with distance from the lake. If the crust is a homogeneous elastic solid, the strain induced by the load would decay with distance and yield a small amplitude signal at the far flung boreholes. The amplitude recorded at the three distant strainmeters is larger than expected. The best model of the crust that fits with the observations estimates a molten magma body starting at a depth of 3 to 6 kilometers. Thus the seiches are a unique natural laboratory that provide sensitive signals to the strainmeters about the structure of the subsurface. This ingenious method will help to refine knowledge of volcanic processes and improve assessment of associated hazards in one of the most popular national parks in the United States. 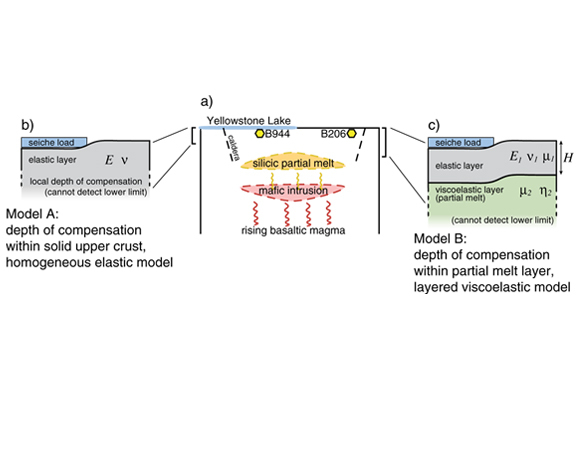 Luttrell, K., D. Mencin, O. Francis, and S. Hurwitz (2013), Constraints on the upper crustal magma reservoir beneath Yellowstone Caldera inferred from lake-seiche induced strain observations, Geophys. Res. Lett., 40, doi:10.1002/grl.50155. Copyright (2013) American Geophysical Union.